Say hello to the First Foods app! 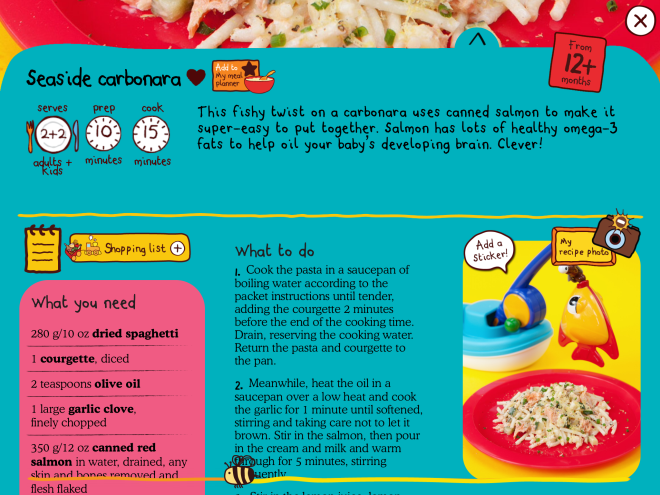 130+ yummy recipes and much, much more from Ella’s Kitchen, the fastest growing baby food brand. 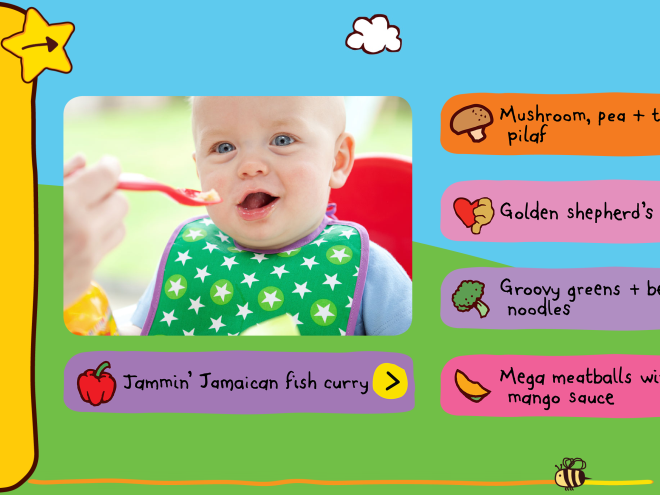 Put the fun into mealtimes with lots + lots of fun interactive tools to help make weaning easy and stress-free! • share your messy-face photos! 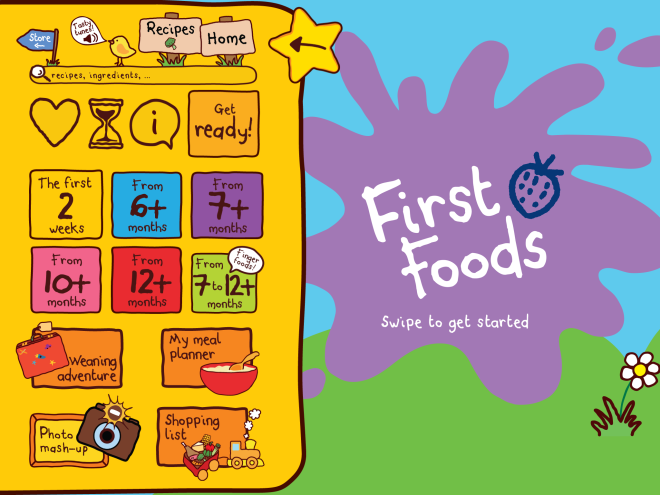 Weaning should be full of big smiles and scrummy tastes, so the First Foods app is packed with helpful advice to give you all the confidence you need at each stage of your baby's development. Little ones who are able to experience veggies + fruits using all their senses are much more likely to eat their greens! 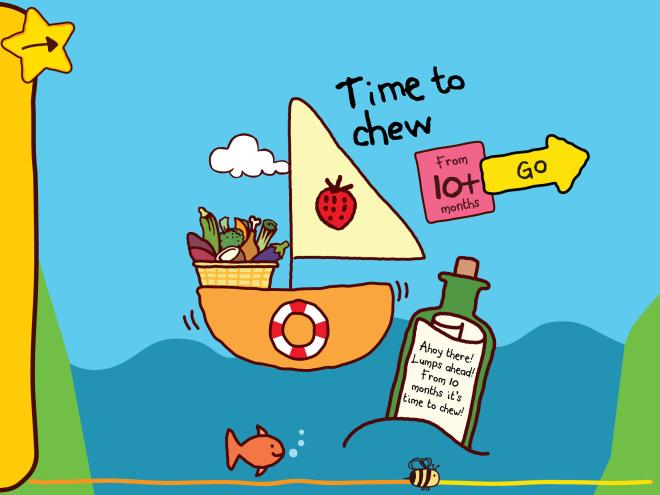 Feed their senses with lots of fun sensorial games + scrummy ideas throughout the app! • herbs + spices to get tiny tongues zinging! 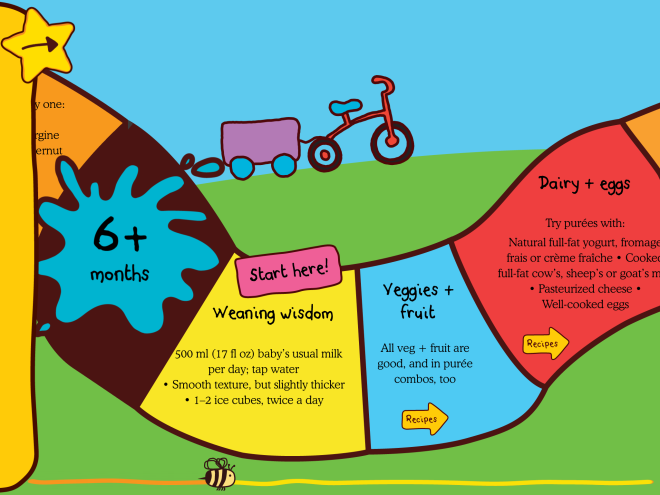 With every recipe specifically developed for its nutritional content, as well as for its yummy flavour, Ella’s Kitchen First Foods is set to become every parent's must-have guide to weaning.